"The global burden of cancer is considerable. The majority of cancer cases and more than 70% of cancer deaths occur in low and middle-income countries. Based on current population trends, global cancer mortality is expected to double by the year 2030. 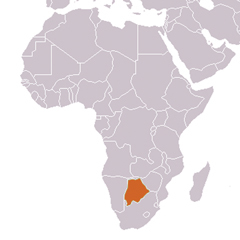 The problem is magnified in Botswana, which has the second highest infection rate of AIDS/HIV in the world. As HIV patients are beginning to live longer with effective therapy, healthcare providers are seeing a surge of cancer cases. More than 40% of new cancer cases in Botswana are due to HIV." Bruce Chabner, MD and Aparna Parikh, MD, Co-Directors, Program for Enhanced Training in Cancer (POETIC), invite you to join them for a special reception in celebration of the Program for Enhanced Training in Cancer (POETIC), taking place Thursday, May 8th from 6 - 8 pm at the Paul S. Russell, MD Museum of Medical History and Innovation at MGH. The POETIC fellowship exchange program, conducted in collaboration with Beth Israel Deaconess Medical Center Cancer Center and Lowell Schnipper, MD, trains clinical oncology fellows from the University of Cape Town in South Africa and Ocean Road Cancer Center in Tanzania. Learn more about POETIC and register to attend here. Tumor Board: Thanks to those who joined us on April 16, 2019 for the BOTSOGO Tumor Board on "A 51 year-old female with abdominal distension." April's Tumor Board followed the M&M format, with input from pathologists from MGH, University of Botswana and U Penn. We were fortunate to have these levels of expertise and will provide an update next month on the conclusive diagnosis. The next Tumor Board takes place on Tuesday, May 21, 2019 at 11 am Eastern / Central Africa Time. MGH location: Cox 6 Conference Room; Francistown location: Nyangabgwe Referral Hospital, Conference Room, Admin Block 1st Floor; Gaborone location: Botswana-Harvard AIDS Institute, PMH grounds, Conference Room, Ground Floor. All are welcome. Supporting the development of clinical capacity through training and direct patient care a full-time MGH oncologist and regular rotation of senior clinicians. Participatory internet-based conferences including several sites in Botswana and the US focused on care of current patients in Botswana. Conducting rigorous research to inform the advancement of oncology and HIV care in Botswana and the region. The BOTSwana Oncology Global Outreach program (BOTSOGO) works to improve access to quality cancer care in Botswana through a growing collaboration between physicians and other healthcare professionals in Boston and in Botswana. BOTSOGO, which means “health” in Botswana’s primary language, connects Mass General Cancer Center, the Botswana Harvard AIDS Institute Partnership, Botswana’s cancer caregivers and the Botswana government. The group’s ultimate goal is to improve access to quality cancer care in Botswana by educating the Botswana population, training future generations of cancer caregivers and conducting vital clinical research.